In our previous post "How to Write Your Name in Different Languages and Styles", we saw different tools and sites that help you write your name in different languages and style. Also, we learnt about the existence of the Ganpati style name, a creative way of writing your name in the form of Lord Ganesha. 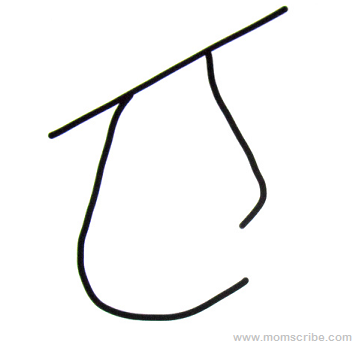 So, in this post I am going to explain a simple method on how to create a Ganpati style name. 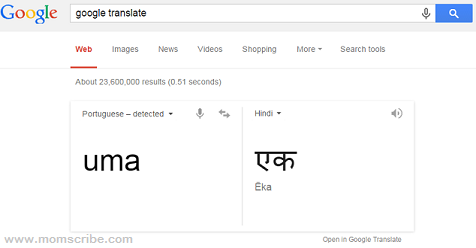 To start with, we need to translate your name to Hindu using the Google Translate. 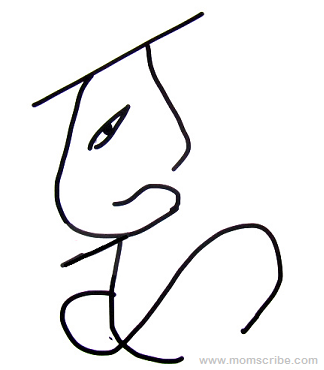 You can see the translated name in Hindi has enough curves for us to start with, Now, using the Hindi fonts, try forming the first step in a our drawing using the first letter starting from Lord Ganesha head and trunk. Note: You can use drawing apps for your creation or use the conventional method of drawing and then upload the final image. Next, try adding the second letter so that it fills in the remaining part of the Lord Ganesha's body such as belly , arms and legs. The letters can be twisted so as to fulfill what you are doing. If you have more letters, you can easily use them as ears, eyes or even hands of Lord Ganesha. 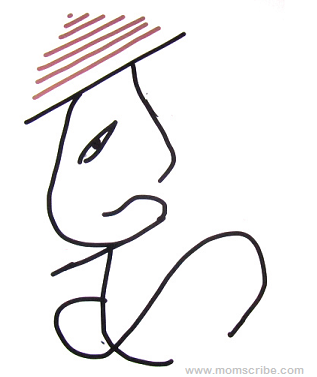 It all depends on on how you want the final drawing to be. Now, add the eye to the Ganesha's face. 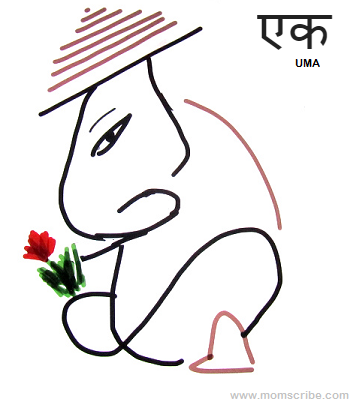 Then, add some colored lines to differentiate itself from the actual letters of the name.I had used coloured lines for the Ganesha's cap. Finally, add more colourful additions to make the Ganesha look realistic along with the actual letters used for creating the Ganpati style name written on the top right corner. 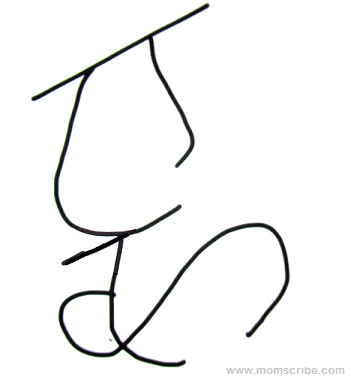 Voilà, we now have successfully created a Ganpati Style Name. Now, it is time to share the lovely look of your name to your friends and family, either through your blog, email or social media networks like Facebook. 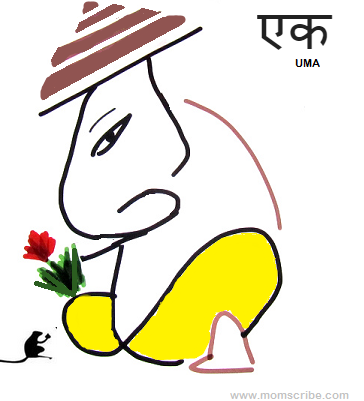 What do you think of this Ganpati Style Name.? Do you like it? Looks easy and simple to comprehend,but one needs a deft and nimble hand with imagination to create as beautifully as illustrated..I am reminded of Spirograph that Iused to battle with as a child.! !